If you need professional equipment and supplies to refurbish your vehicle, come to Julio's Auto Parts in Chicago and speak to our auto part experts. We will help you find the items you need - we offer quality parts at fair prices. At Julio's Auto Parts, we have frame straightening equipment, frame measuring equipment, collision repair equipment, and collision equipment accessories. If your auto body shop needs frame equipment call us at 773-292-1643 today. The headlights and tail lights on your car help increase your visibility. 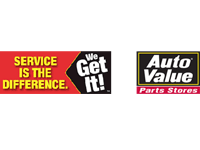 Julio's Auto Parts offers products for all domestic and import vehicles. Contact us at 773-292-1643 or visit Julio's Auto Parts today for all your headlight and tail light assembly needs. The mirrors on your vehicle help you see the vehicles approaching from behind. Julio's Auto Parts offers products for all domestic and import vehicles. Contact us at 773-292-1643 or visit Julio's Auto Parts today if you need a replacement mirror. Safety equipment is protective gear worn to minimize the exposure to workplace injuries and illness. Since most paints contain toxic chemicals and other heavy metals, you need to have safety equipment when painting. At Julio's Auto Parts, we offer the latest safety equipment to keep you safe when painting your car. Sanders are tools used to smooth surfaces (in preparation for painting work). The sanders, which are usually powered electrically or by compressed air, smooth surfaces by abrasion. To prepare a surface for painting you need to sand (smooth) it. At Julio's Auto Parts in Chicago, IL 60647 we offer the best sanders in the industry. Call or visit our auto shop, for quality sanders. Welding is the fabrication and sculptural process that joins metal parts together. Welding is an integral part of most motor vehicle repair and refurbishing services. To get the right welding supplies and welding equipment, you need Julio's Auto Parts. We offer high quality welders and welding supplies that promote efficiency and safety.